Hello. I’m a digital note taking junkie. Admitting my addiction is the first step for liberation. 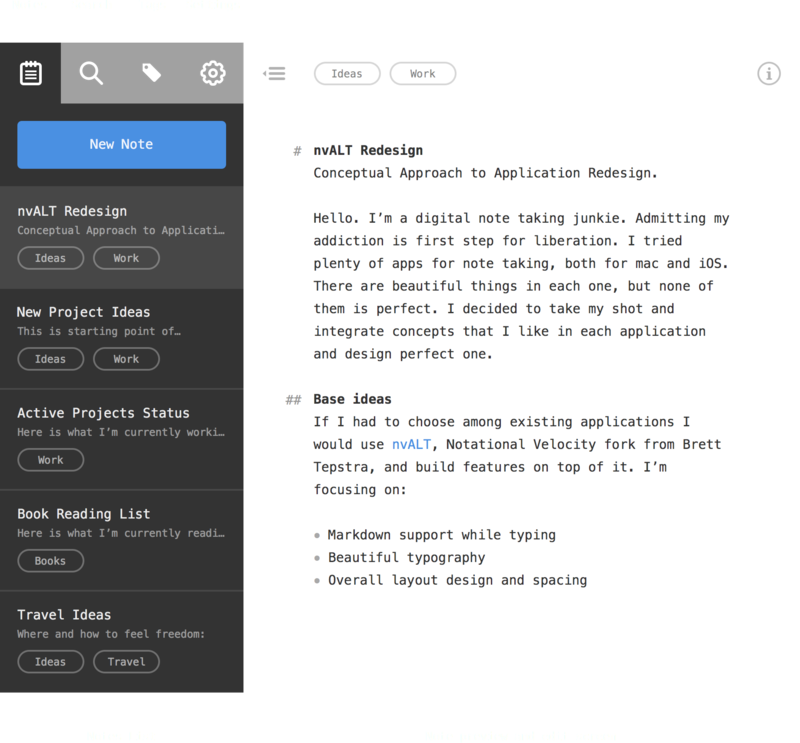 I tried plenty of apps for note taking, both for mac and iOS. There are beautiful things in each, but none of them is perfect. 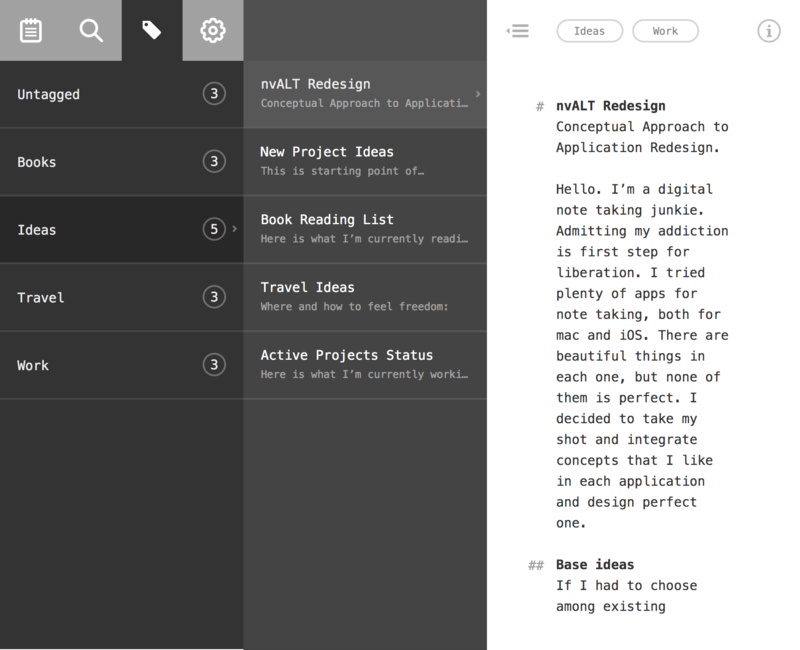 I decided to take a shot and integrate concepts that I like in each application and design a perfect one. 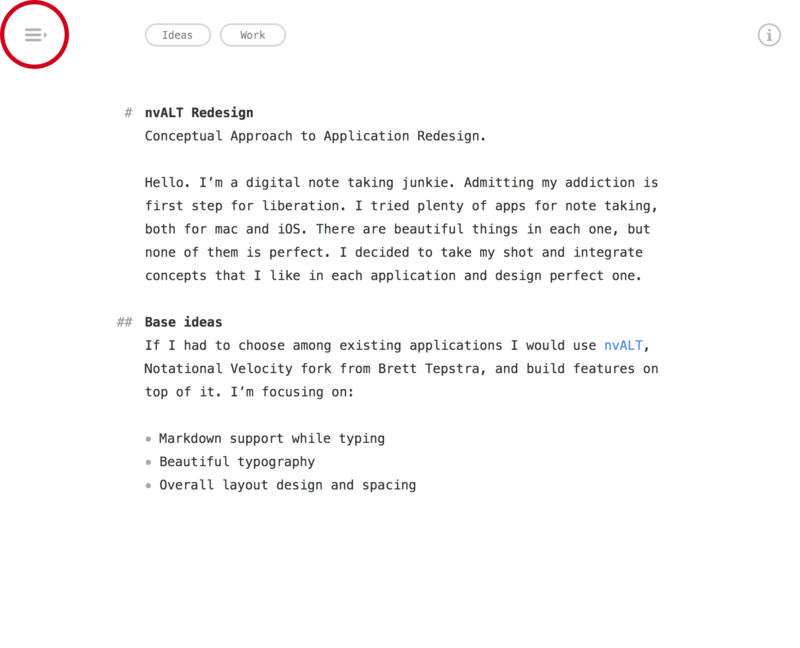 If I had to choose among existing applications I would use nvALT, Notational Velocity fork from Brett Tepstra, and build features on top of it. 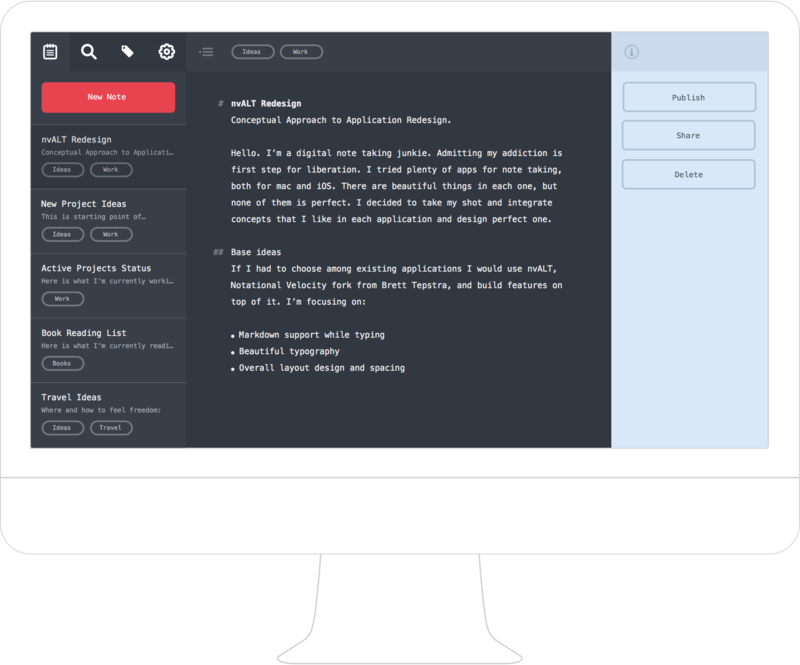 I’m focusing on: Markdown support while typing, beautiful typography, overall layout design and spacing. 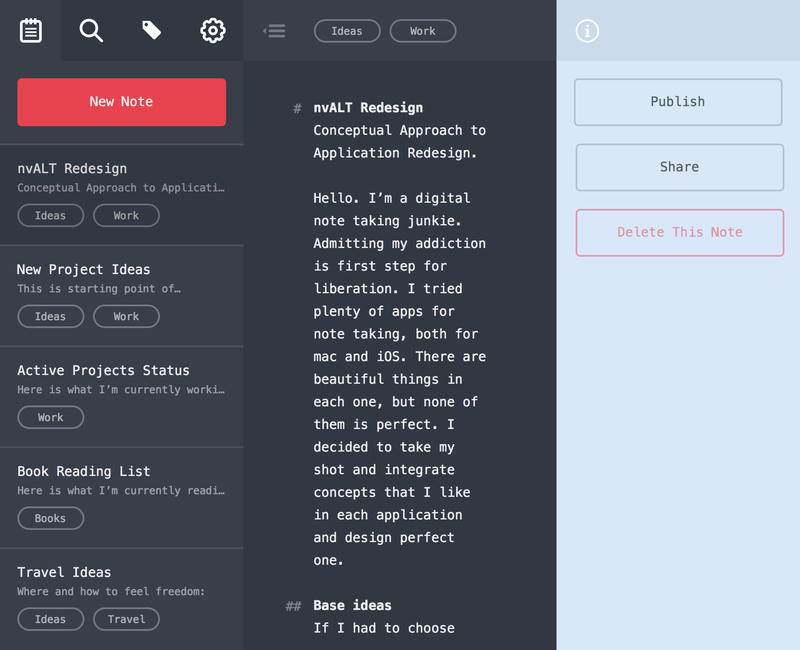 On the left hand side there is a notes list and a New Note button. 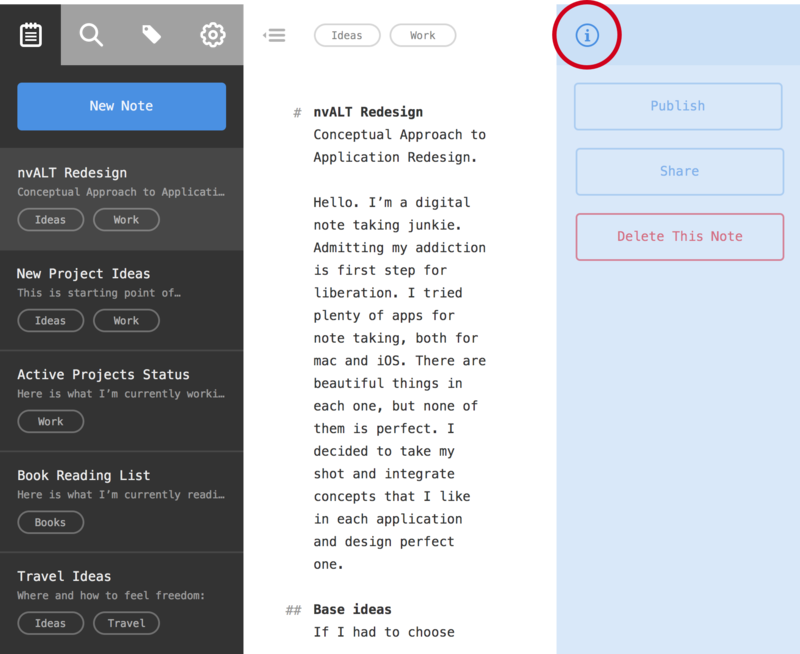 Advanced users can remove the New Note button in settings panel and create notes with a keyboard shortcut cmd + n. On the right hand side there is a note preview and an edit screen. Information panel gives options to publish a note via Simplenote or share it via email or social networks. Users can also archive or delete the note via this panel. In digital environment removing distractions and focusing on one thing at a time is essential. In this case focus mode allows undistributed writing. 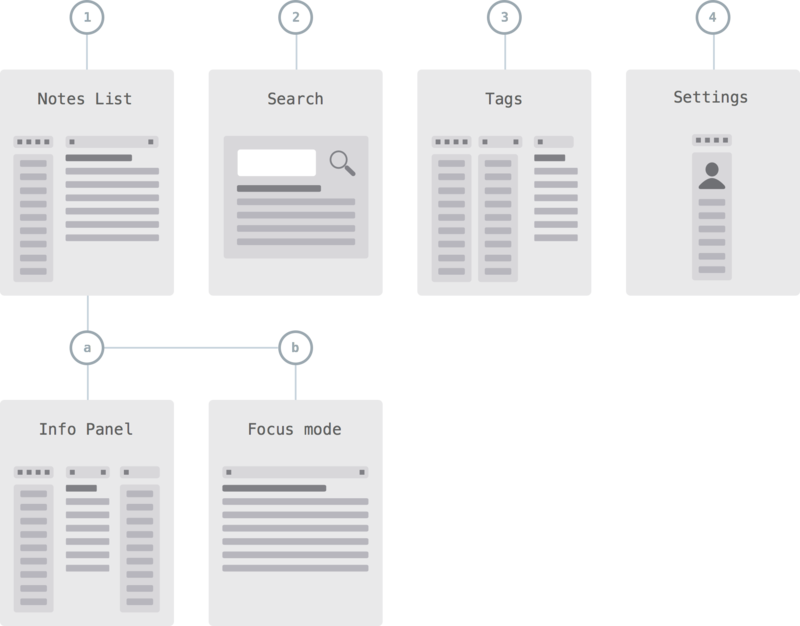 Utilized are best practices that are set up by ByWord and IA Writer. 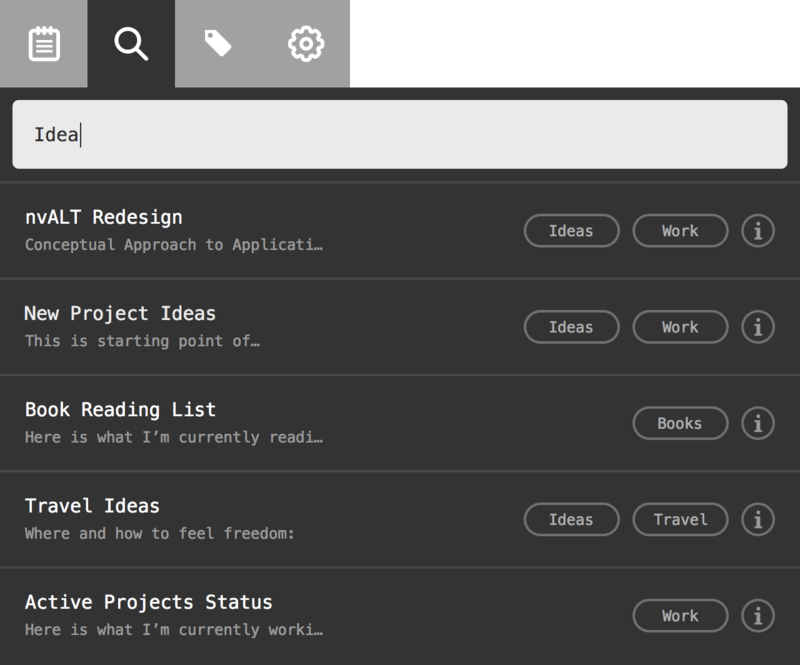 Search style is adopted from application launchers such as Alfred, LaunchBar and Spotlight. 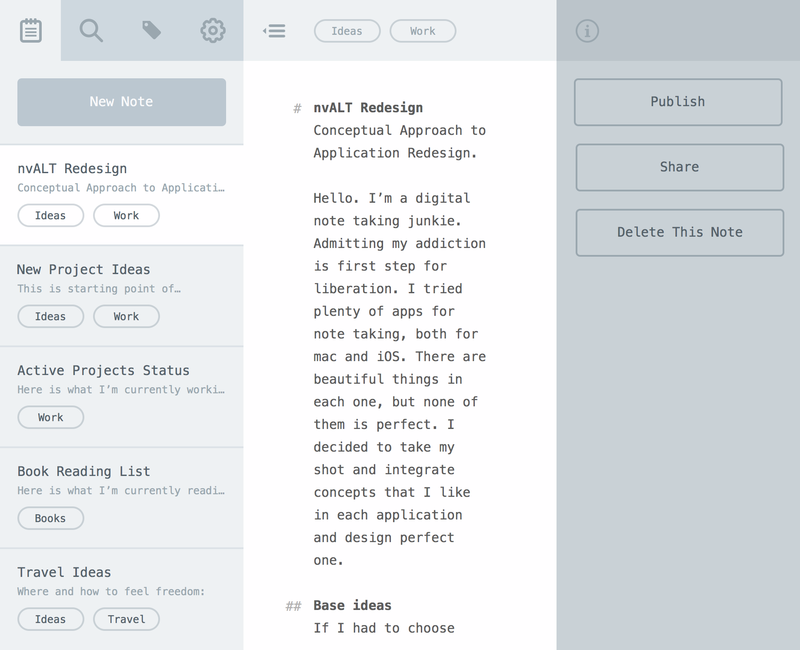 This is a note organization component that is currently lacking in nvALT. It’s nice to see how many notes we have per each tag and especially how many untagged notes we have.